A London Underground map has been published to help passengers with claustrophobia or anxiety conditions. The new design highlights routes they can take to avoid long stretches of tunnels. More than half of the Tube’s 270 stations are above ground, with only the Victoria and Waterloo & City lines wholly underground. Nicky Lidbetter, chief executive of charity Anxiety UK, said: “For those with anxiety conditions such as panic attacks and claustrophobia, we know that travel by the Underground can be problematic and challenging. 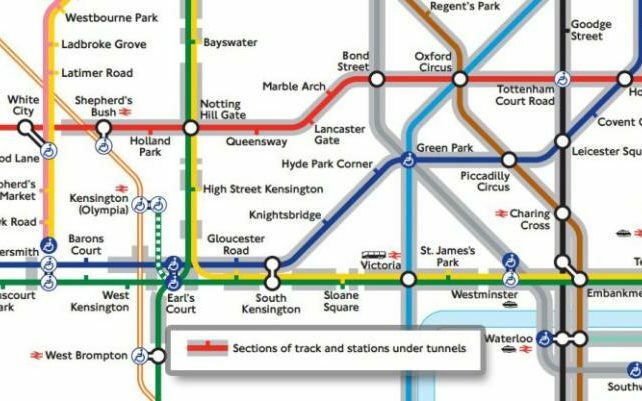 “This new map is an excellent resource for those wishing to avoid journeys where there are tunnels, serving as a great pre-journey planning aid and increasing access to public transport. “I sincerely hope that the map will encourage those with claustrophobia and/or panic attacks who have previously avoided this form of public transport out of fear to reconsider their use of the Tube”. 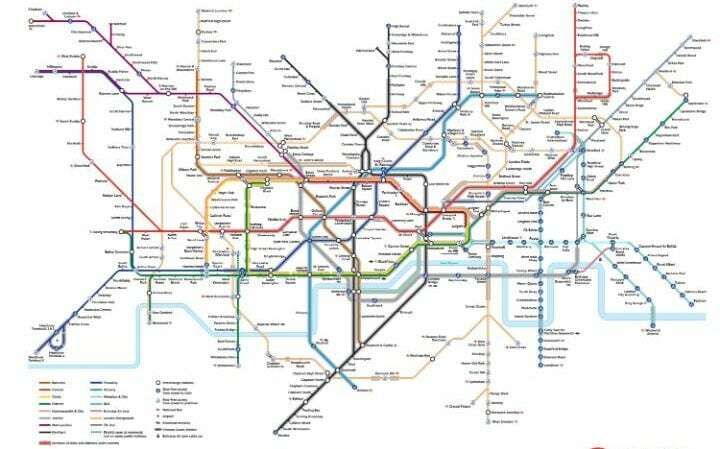 Transport for London (TfL) director of customer strategy Mark Evers said: “Making the Tube network accessible for everyone is one of our top priorities. “This new map is just one of the tools we have created in response to feedback from our customers on how we can make the transport network more accessible, making travelling easier and more comfortable for all our customers.” In April TfL announced that badges for people with hidden health conditions who needed a seat on trains and buses were to be permanently available. They follow the popular “Baby on Board” badges for expectant mothers. This entry was posted in Documentation and tagged London, Underground. Bookmark the permalink.